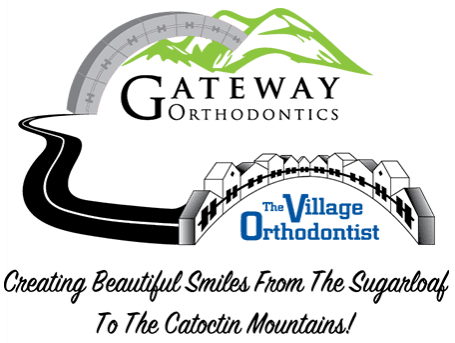 Here at The Village Orthodontist, we want all of our patients to feel comfortable from the moment they walk through our doors. For this reason, we strive to provide as much information about examinations ahead of time to lessen any worries that our patients may have. As one of the top orthodontists in Frederick, Dr. Jon A. Molesmakes sure to address any questions or concerns that you may have at any part of the treatment process. In order to prepare for your next appointment, find out what you can expect to occur. Our initial exams are set up for 60 minutes. To provide you with the most informative consultation possible, we will contact your dentist to retrieve any relevant x-rays, treatment plans. Because your time is valuable and we don’t believe in keeping our patients waiting, we ask that you complete our online patient information form located under the “New Patients” tab, prior to your arrival. At the initial visit, we will begin by taking diagnostic photographs and an x-ray as needed, we’ll give you a tour of our facility to introduce you to the rest of your smile team and then we can get comfortable our consult room, where our knowledgeable treatment coordinator will discuss with you your needs and desires for treatment. Dr. Moles will perform a thorough evaluation of your diagnostic information and make his recommendations. If the patient is ready to begin treatment, we will discuss cost and any necessary future appointments. In most cases, you could get started right away! • Is orthodontic treatment appropriate? • Is treatment appropriate at the time of the exam, or should it be delayed? • What is the expected duration of treatment? • What is the expected cost of treatment? • Are there multiple treatment options that will be needed to correct the problem? We can answer most basic questions regarding orthodontic treatment at this initial exam, but more in-depth answers can be provided in follow-up examinations. If Dr. Moles determines that orthodontic treatment is right for you, we follow up with an appointment in which we take diagnostic records including, Facial and intra-oral photographs, a 3D CBCT x-ray and Digital Impressions. This data provides Dr. Moles with the information he needs to put a plan of action in place for your treatment.